The K-pop industry would not be the same without the talented boy group EXO. Having debuted under one of the biggest agencies, SM. 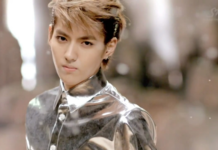 Entertainment, EXO has gained so much popularity. 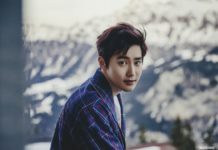 With the 2 sub groups, EXO-K and EXO-M in 2011, that they created EXO has captured a lot of hearts of fans through their songs, dances, and good facial features. Their popularity is not in doubt as they were even ranked as the most influential celebrity by Forbes Korea Power Celebrity in 2014 and 2015. One of the most popular members in EXO is Baekhyun who has a strong vocal and mesmerized everyone with his angelic voice. 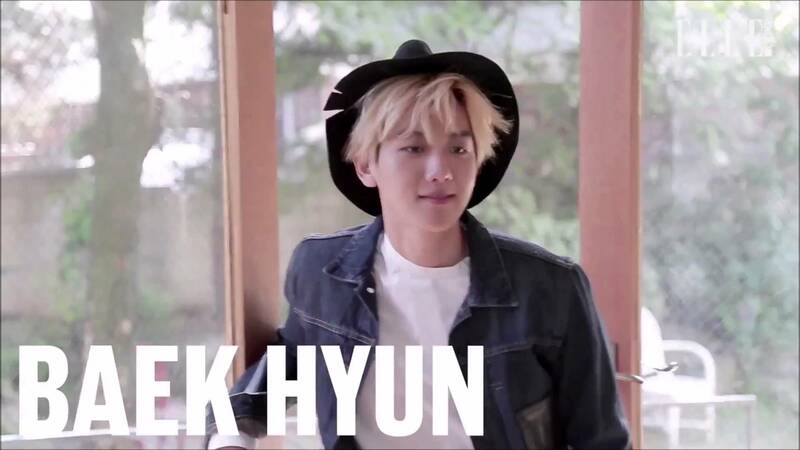 For those of you who want to know more about EXO’s Baekhyun, we will reveal his full profile for you, so stay tuned! EXO members vary from the oldest to the youngest. Baekhyun himself is currently 25 years old (he was born in May 6, 1992). Among EXO members, Baekhyun ranks as the 6th oldest. But he still looks very cute for a 25 year old man, doesn’t he? All of EXO members might look like they have the same height, but there is actually a quite big difference in height among them. 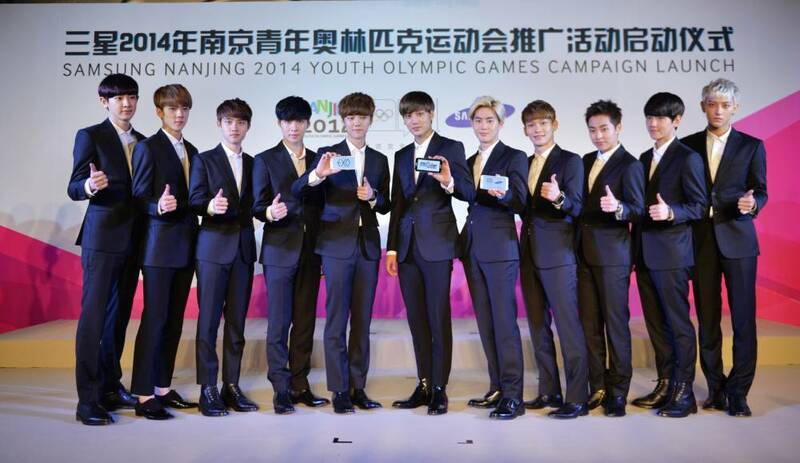 Baekhyun himself, ranks forth in term of height. Baekhyun is 176 cm (5,77 ft), and is almost as tall as Lay who is 177 cm. There isn’t much about Baekhyun’s family that is available to the public. But Baekhyun’s brother is quite famous among fans. His name is Byun Bae-beom. Baekhyun and his brother have a very big age difference, he is 7 years older than Baekhyun. Baekhyun’s brother also married his life partner on September 29, 2013. Baekhyun himself also came to the wedding to congratulate him. 1. Baekhyun has a brother who is 7 years older than him named Byun Baek-beom. 2. People always say that Baekhyun has a charismatic and powerful appearance when he is singing on the stage, but behind that, he is actually a cheerful, bright, and childlike. 3. Byun Baekhyun’s nickname is “bacon”. 4. 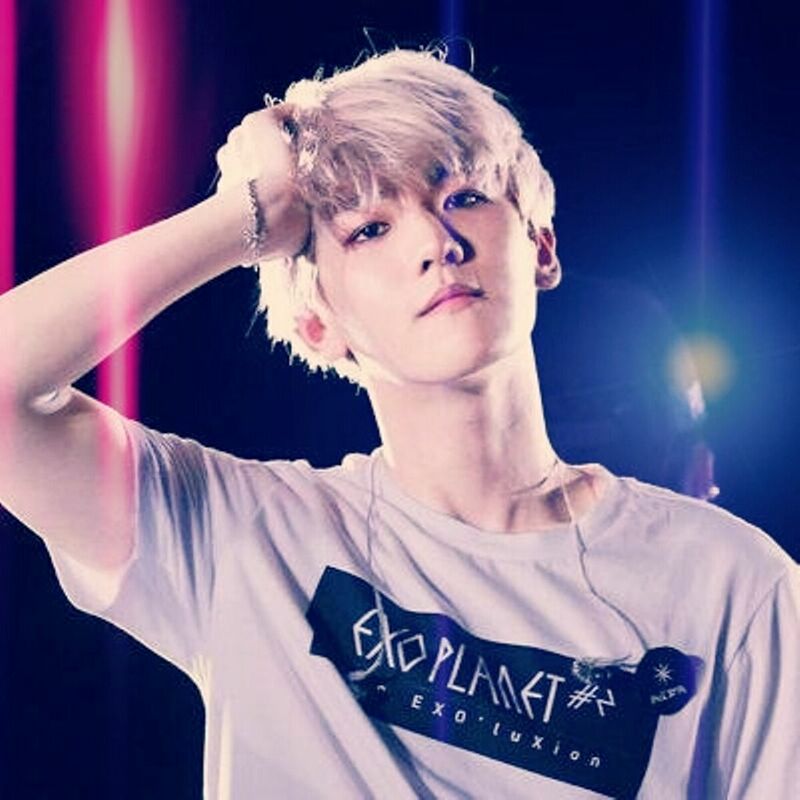 Baekhyun has several hobbies including playing the piano, aikido, singing, listening to music, and watching movies. 5. Baekhyun also has a lot of favorite foods, starting from Korean food, Chinese food, Japanese food, and even Western food. He is not picky when it comes to foods. 6. Although he likes foods, he dislikes cucumber. 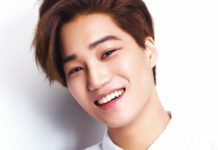 When he was younger, his mom said that she would give him 5.000 won (approximately $5) if he ate a cucumber, but he still refused to eat it. 7. EXO’s Baekhyun favorite number is 48. 8. Baekhyun loves music, especially, pop, R&B, and Punk Rock. 9. 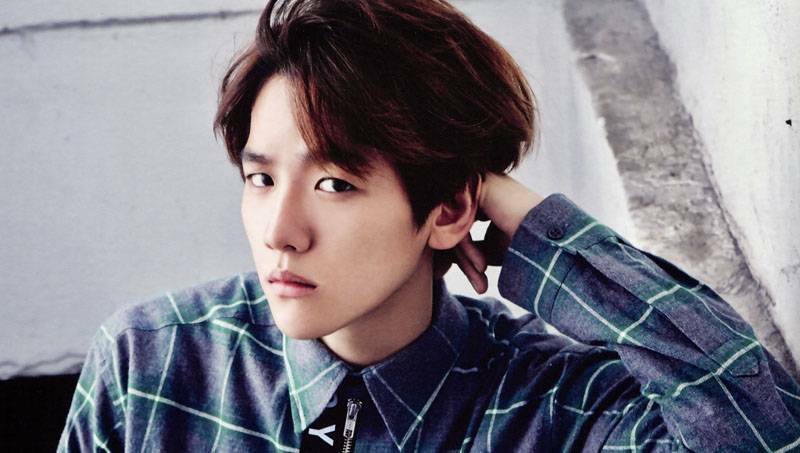 Baekhyun used to date Girls’ Generation’s Taeyeon from June 2014 till September 2015 (14 months). 10. He is able to do one hand push-up. 11. Baekhyun was scouted by one of SM representative right in front of his school gate. (That representative directly asked whether he wanted to join SM Entertainment). 12. 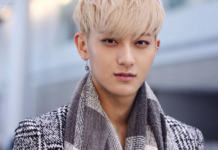 He then joined SM Entertainment in 2011. 13. Baekhyun raised a dog, which he named Myongryoung. 14. Baekhyun is a fast learner. He can even learn a new song’s choreography in just one day. 15. 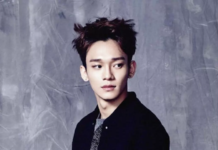 Rain (Jung Ji-hoon) is Baekhyun’s role model. 16. It has been Baekhyun’s dream to become a singer since he was in fourth grade. He even told his friends that when he has grown up, he would be a singer. 17. Baekhyun is a friendly person, he likes to socialize with people. 18. Baekhyun has flexible arms and even fingers. 19. Baekhyun prefers to spend his free time staying at home playing games rather than going out. 20. He used to make a lot of cute expressions when he was still in high school to make his friends laugh. 21. Baekhyun likes fantasy, SF, and action movies. 22. 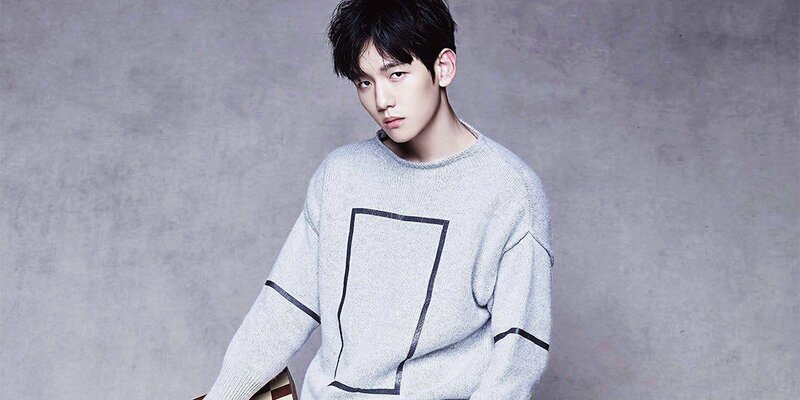 Baekhyun’s close friend is actor Lee Joon-gi. 23. Baekhyun’s favorite word is “kkaepsong”, he invented the word himself and it means “that’s a pity”. 24. White, grey, and black are Baekhyun’s favorite colors. 25. When Baekhyun was spotted by SM Entertainment representative, he was studying for the Seoul Institute of the Arts’s entrance exam. 26. Baekhyun started to train his voice when he was 11 years old. 27. When he was still a high school student, Baekhyun became the lead signer of a band named “Honsusangtae”. 28. Baekhyun learned the piano from the South Korean rock band DickPunks’ Kim Hyun Woo. 29. Baekhyun was recently being terrorized by sasaeng fan when he was live streaming. 30. 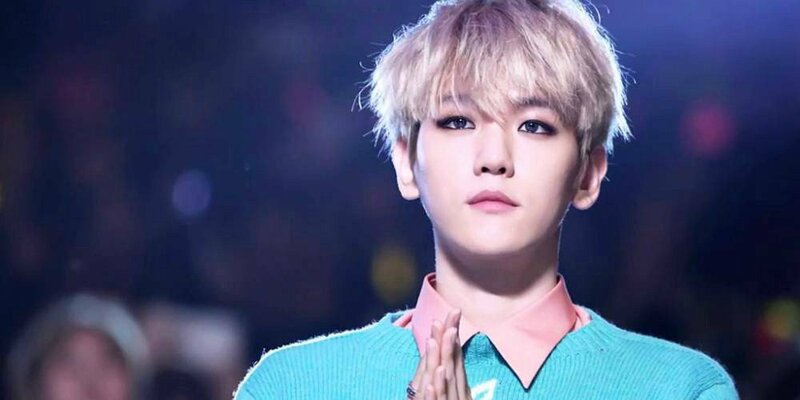 Baekhyun was chosen to sing South Korean National Anthem in International Olympic Committee (IOC). 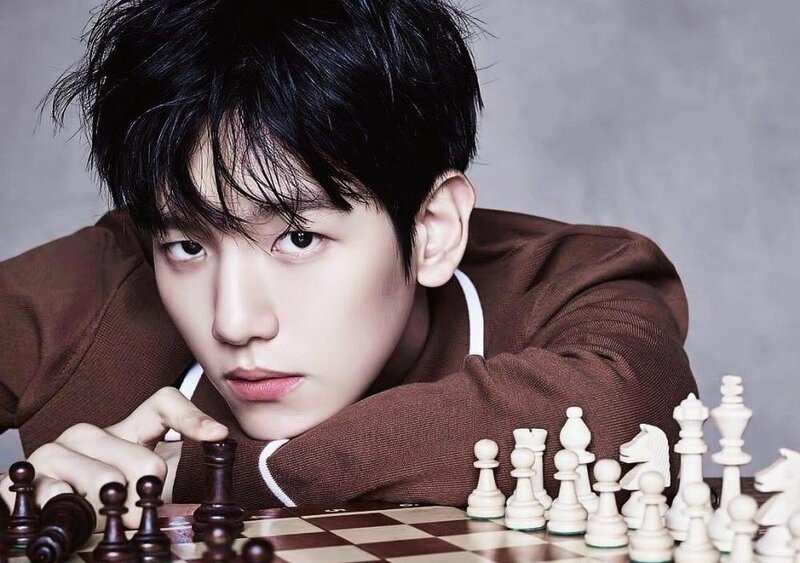 Not only a member of EXO and a singer, Baekhyun also has acting skills, and has been featured in TV shows, including drama, variety, and music show. 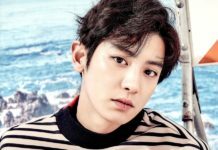 Here is a complete list of Baekhyun’s TV shows. 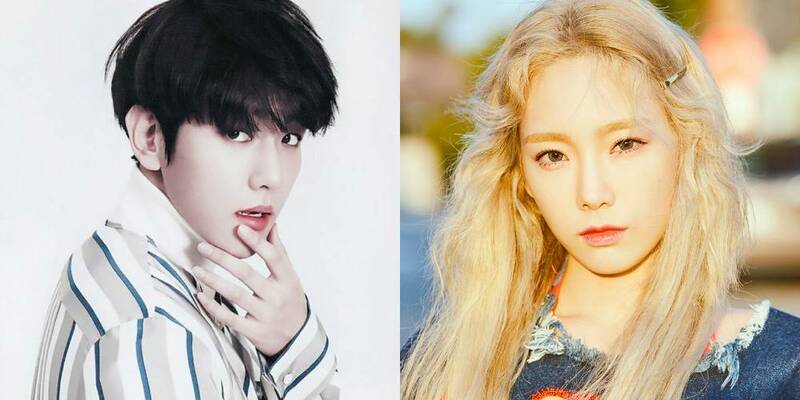 After knowing each other for years, EXO’s Baekhyun and SNSD’s Taeyeon were confirmed to be in a relationship. The representative from SM Entertainment stated, “They had a close junior and senior relationship and recently starting dating.” Even before the confirmation from the agency, there had been many photos that had spread starting from a year before about evidence of the two of them being in more than just a “sunbae hoobae” relationship. They were suspected by fans of having couple stuff such as, sunglasses, cellphone, headphones, bracelets, etc. They also called each other cute names: Taenggu (Taeyeon) and Baekoong (Baekhyun). Although they had an age difference and Taeyeon is 3 years older than Baekhyun, both of them were known as a cute couple among their mutual friends. On June 19, Dispatch released photo of them. They seemed to be enjoying a late night car date. SM Entertainment then announced that they had been closed ever since Baekhyun was a trainee, and they started to show interest in each other in October 2013. They started to date in February 2014. It is a common thing for idols to show their abs, especially at their own concert as it makes fans go crazy. The same thing goes for EXO’s Baekhyun. 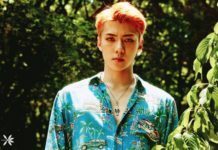 On EXO’s third solo concert “EXO PLANET #3 – The EXO’rDIUM”, Baekhyun showed everyone his amazing sculpted abs, and of course everyone went crazy. Not only showing off his abs, EXO’s Baekhyun also shared the secret behind his abs. “If you ask me how I ate [during my diet], listen well everyone, for 3 months, I cut out carbohydrates. I didn’t eat any rice, grains, or cereals. The thing about carbohydrates is, when you stop eating them, about 3 days after you stop, you don’t think about wanting to eat them anymore. They say your resolve falls through in 3 days. If you get through the 3 days, there’s nothing you can’t do.”, he revealed. 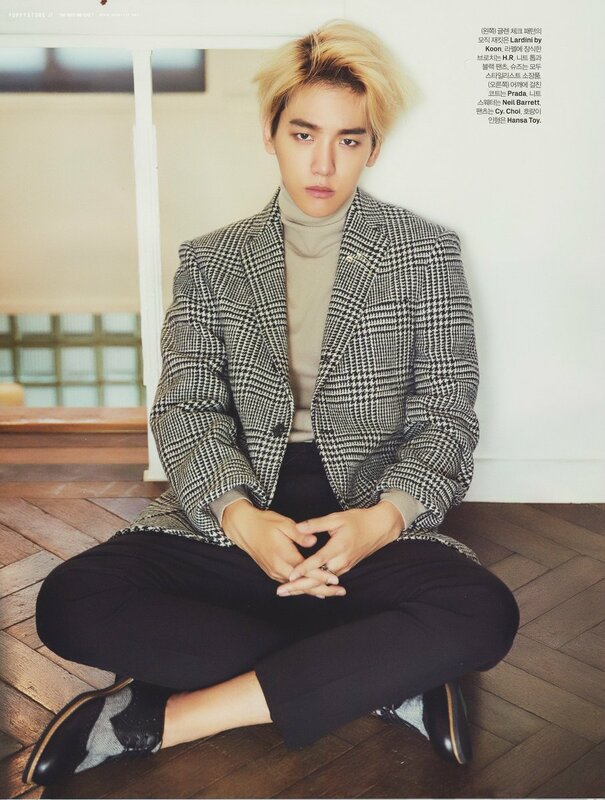 Baekhyun himself, outside his activities as a member of EXO and his TV shows, also took part in several photoshoots for magazines. 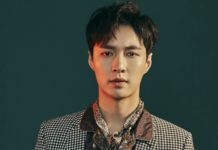 His most famous photoshoot was done for ELLE magazine, showing off his good skin in several dark color blazers that made him look super attractive. His blonde hair was also perfect for the photoshoot. 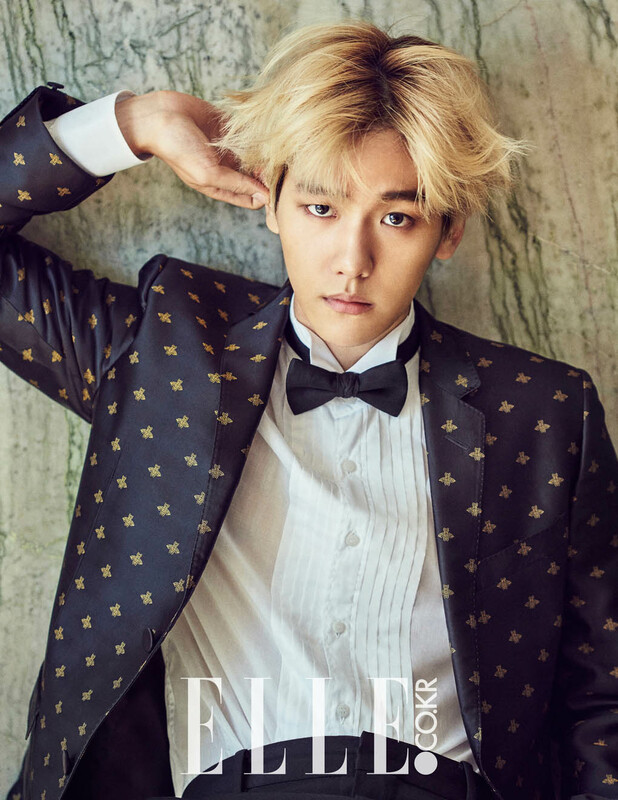 Here are several photos of Baekhyun when he was featured in ELLE magazine. 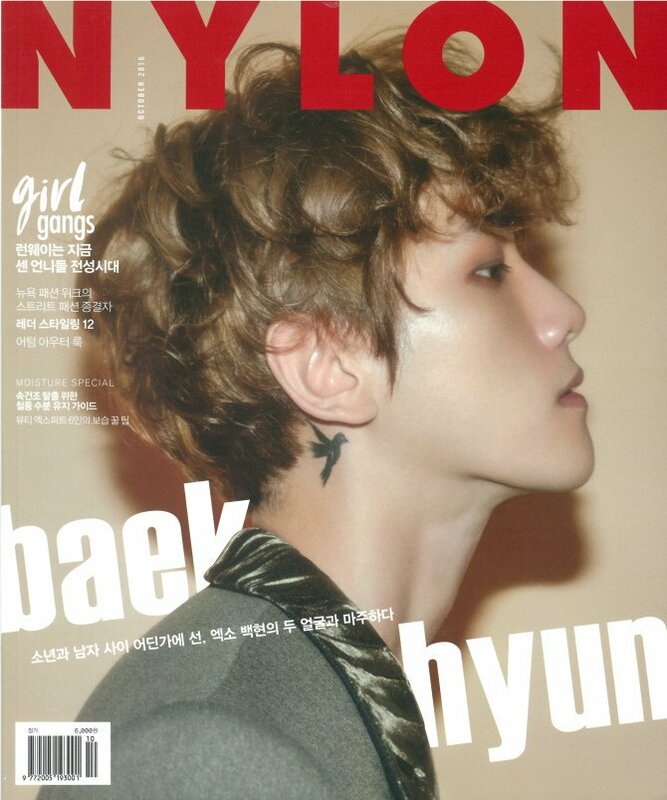 Not only ELLE, Baekhyun was also featured in W Korea and Nylon. Here are some of the pictures. 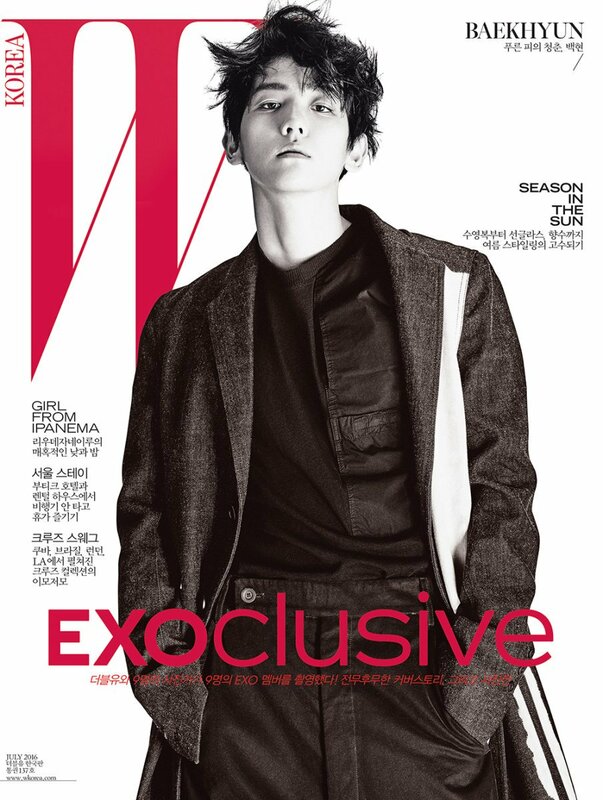 Which version of Baekhyun’s magazine photoshoots do you like the most? Wow! Kris Wu and Kendall Jenner Look so Good Together In Vogue Magazine!